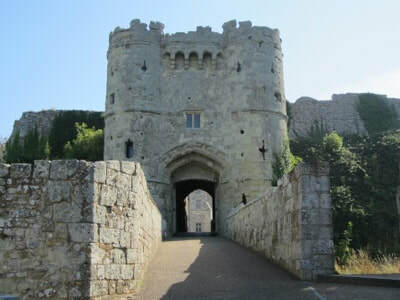 If the thought (or cost) of kennels is too much to bear then take a look at these places to stay on the Isle of Wight which all let you bring your dog. Doggy passports not required. As well as hotels, B&Bs and Isle of Wight holiday homes there are also several Isle of Wight holiday parks which are dog friendly. 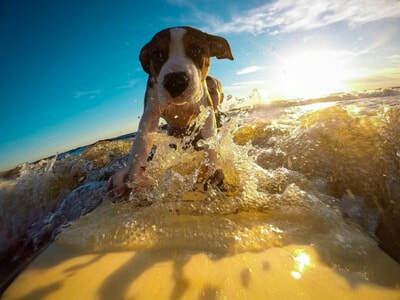 There are four Park Resorts Holiday Parks on the Isle of Wight, all of which are dog friendly (Nodes Point in St Helen's, Thorness Bay near Cowes, Landguard in Shanklin or Lower Hyde, Shanklin). ​Nodes Point is my pick of the four, mainly due to its location only a few metres from the beach. 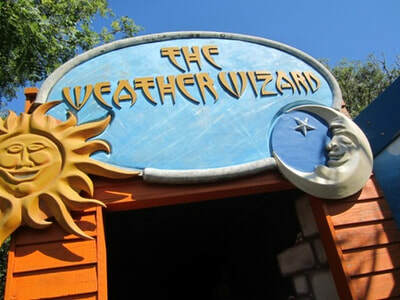 ​It's also in the pretty village of St Helen's which is a bit less touristy than Shanklin. 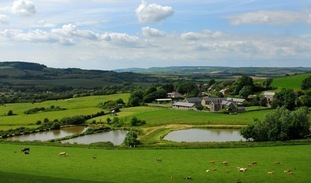 A quieter holiday park in the area which welcomes dogs is St Helen's Holiday Park. Orchards Holiday Park is an independent holiday park in the quiet West Wight which gets very good reviews (8.5/10 when I checked). 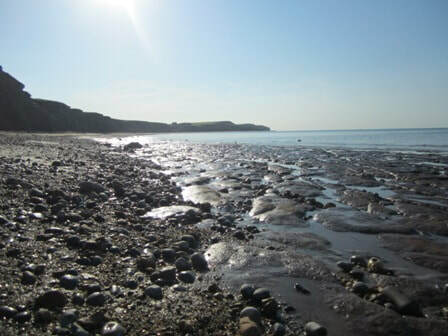 It's got indoor and outdoor swimming pools and it is well placed for exploring the West Wight coastline which has dog friendly beaches such as Brook Chine and Chilton Chine. They welcome dogs in a couple of their grades of caravan, with an added charge of £6 per night when I checked. 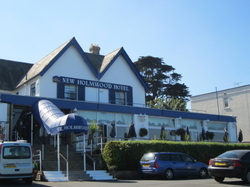 The Isle of Wight's only Best Western hotel is in a prime position on the seafront at Cowes, with views of huge great container ships in the Solent. It gets pretty decent reviews and it welcomes pets. 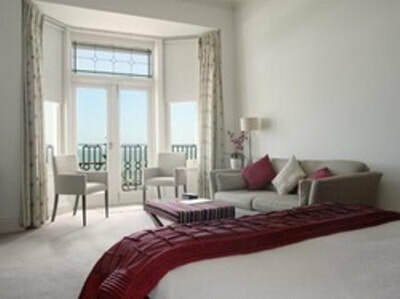 Cost: Generally you'll pay about £85 - £110 for a room for two with breakfast or about £150 with dinner. Click here to check availability. Whitecliff Bay is another big and busy holiday park which welcomes dogs (for £5 a night when I checked). 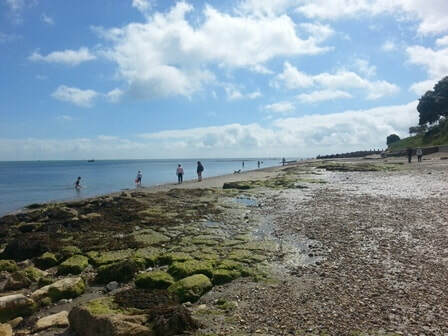 The only caveat is that dogs aren't allowed onto the adjacent beach at the park, so your best bet would be to head to one of the nearby dog friendly beaches, such as Bembridge. 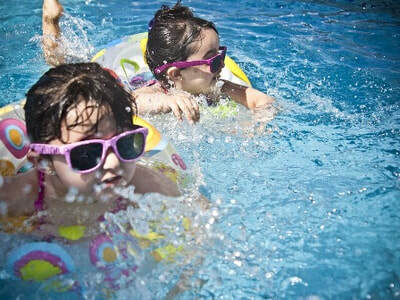 The holiday park itself has lots to do, including an indoor swimming pool and evening entertainment. 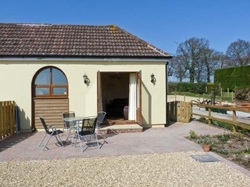 This self catering cottage near Ryde looks out over gorgeous countryside and a field of horses. 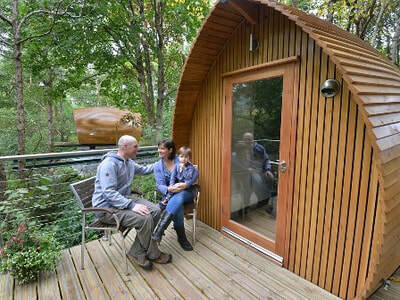 It's near to the ferry and it's got plenty of modern conveniences including Wifi. Bringing your (well behaved) dog along will cost you £10 per week. Cost: a week in April 2018 was around £500. Click here to check availability. 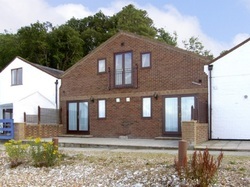 Pretty Westgate Cottage is in St Lawrence on the southern end of the Isle of Wight. It's a bit of a drive from the ferry but the area has a wonderful relaxed feel to it. The attractive cottage has four bedrooms and combines historic character on the outside with modern conveniences on the inside. 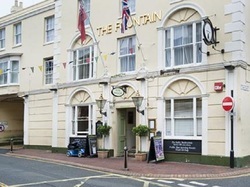 It's only a short walk from the sea and is dog friendly. Cost: a week in April 2018 was around £1000 (click here to check availability). 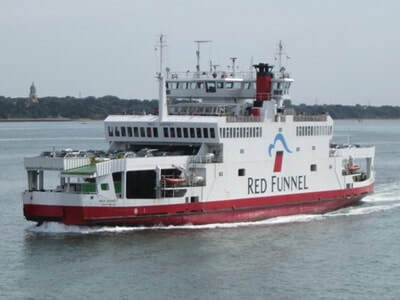 The Fountain Inn in Cowes is next door to the Red Jet ferry from Southampton, so it's a good one to consider if you aren't bringing a car. 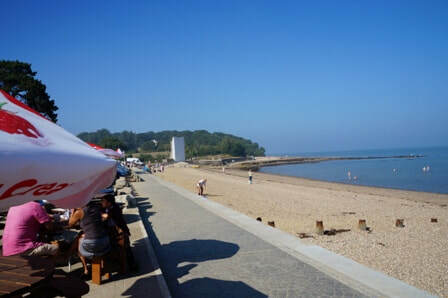 It's very central in Cowes, with lots of places to eat in the town and gets decent reviews. Cost: Occasionally as low as £35 or as high as £180 but generally from about £50 - £100 for a room. Click here to check availability. These two self catering properties can be booked together, so they are ideal if you are two couples who fancy your own space. They are right by the sea and even have a private slipway, in case you want to arrive on your own boat. Cost: a week in April 2018 was about £400. Check availability for Starboard and Sail Loft Annexe. Ward Avenue Bed and Breakfast is well located for Cowes Week - the world's largest sailing regatta which arrives on the Isle of Wight in August. It only has four rooms so it is less anonymous than staying in a large hotel. Parking is available, which is good news in Cowes! Cost: a double room is around £80 per night. I might be wrong, but I'd suggest Nettlecombe Farm near Ventnor is probably the only Isle of Wight accommodation on this list with on-site reindeers. There are also alpacas and donkeys as part of a petting farm, fishing lakes for anglers and yoga classes. 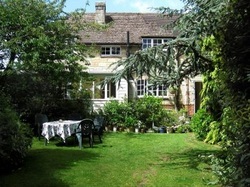 There are several self catering options which sleep between 3 and 10 people.